BENGALURU: NTT Com Security, the global information security and risk management company, and Fortinet, cyber security solutions provider, have entered into a partnership to provide expert security advice and security solutions to organizations worldwide. The partnership includes incorporating the range of Fortinet security solutions into NTT Com Security solutions to help protect customers across the globe, irrespective of size or sector, a statement said. 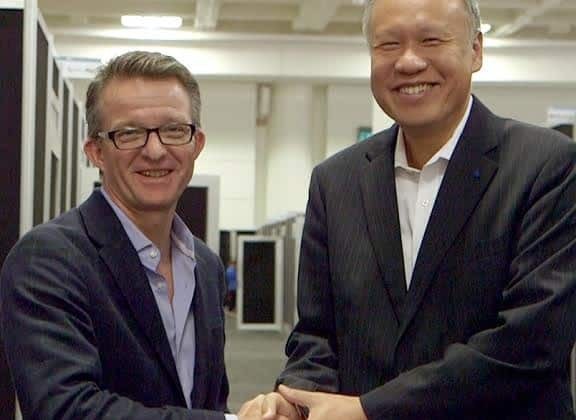 Fortinet and NTT Com Security will now collaborate across a number of technology deployments, to offer support, consultancy advice and the delivery of solutions powered by Fortinet’s technology under NTT Com Security’s WideAngle portfolio. These include cloud security, firewall and network risk management, SIEM systems integration and SDN (software defined networking) and virtualization. “Through this partnership, NTT Com Security will also benefit from Fortinet’s technical consultants to expand their support services in terms of incident management, operational risk reduction, support in complex architectural designs and implementations,” it added. The global security partnership between NTT Com Security and Fortinet extends the two companies’ existing relationship, whereby Fortinet’s security platform is part of the solutions within NTT Communications’ Cloud Managed Security Services. NTT, Fortinet in security partnership 0 out of 5 based on 0 ratings. 0 user reviews.